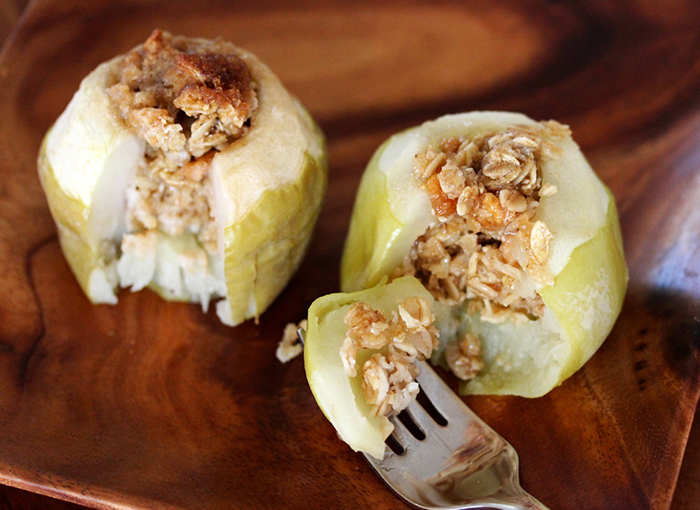 Did you know that baked apples are one of the easiest desserts you can make? 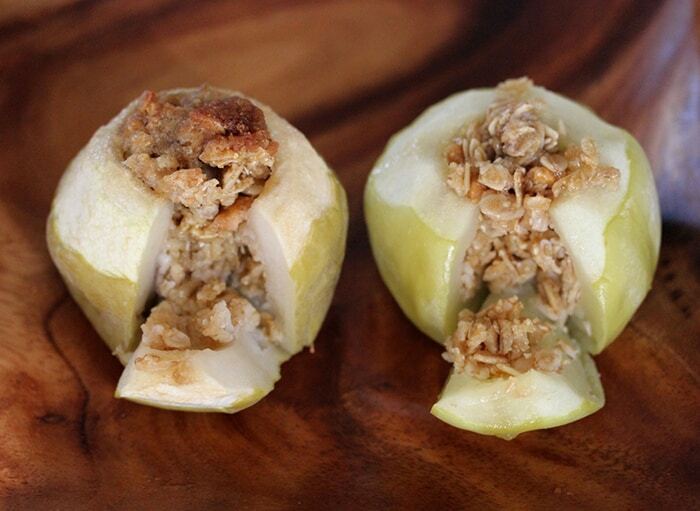 It takes less than a minute to prep the apples and thirty minutes to bake in the oven. That’s thirty long minutes of drooling. Then I remembered the Lazy Late Night treats like, coffee cake in a cup, French toast, blueberry cobbler, and I thought I should give the baked apple a try. I was hesitant because of the rubber effect so I decided to have a throw down: microwave vs oven. 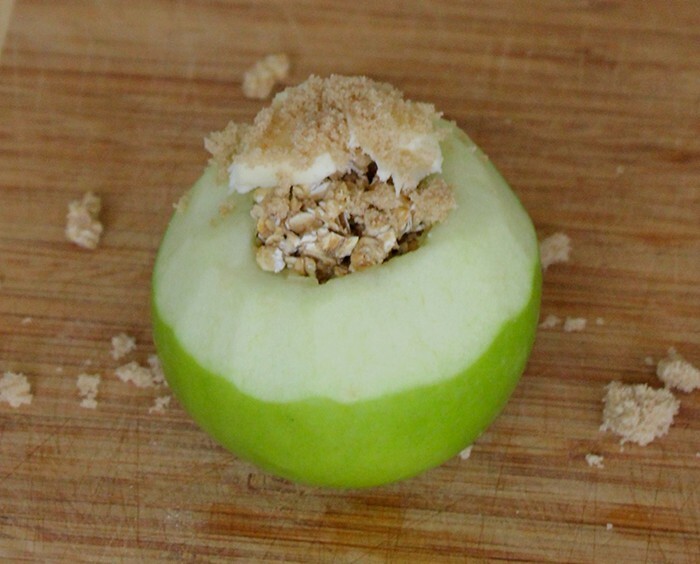 I pealed and cored the apples and placed in a pat of butter, filled the hole with Kellogg’s Special K Granola, sprinkled on some brown sugar, another small pat of butter and baked. 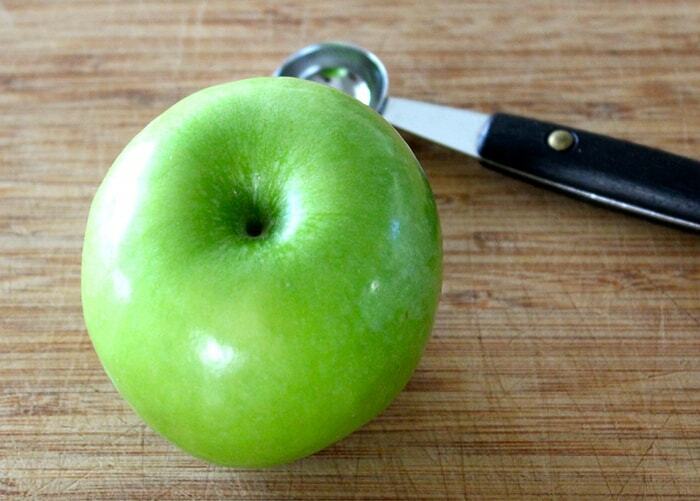 When I removed the oven-baked apple it appeared crisper on the top with loss of color on the peel. 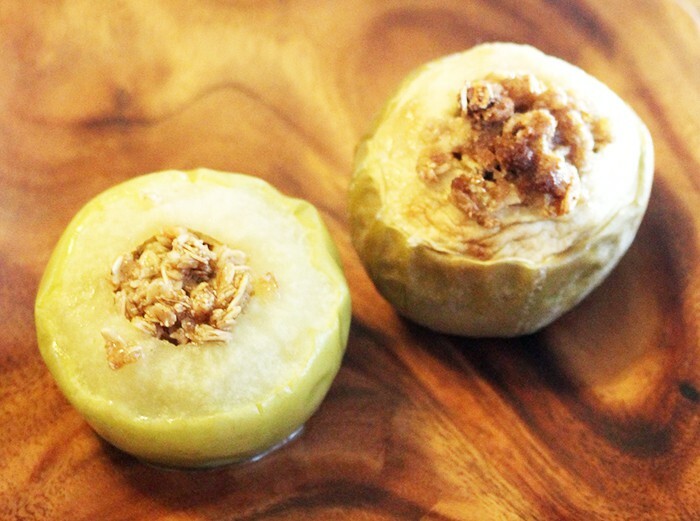 The microwave-baked apple was softer on the top, but still bright green on the bottom. Now for the bite — as I slowly went in for the taste of the oven baked apple, I couldn’t get my fork to break off a piece, so I used a knife. It was delicious and soft. Next up, the microwave. The result was less crisp on top so my fork dove right in. Same deliciousness. The winner? Well, they taste almost identical, but I will gladly take 3 minutes over 30. The microwave it is! 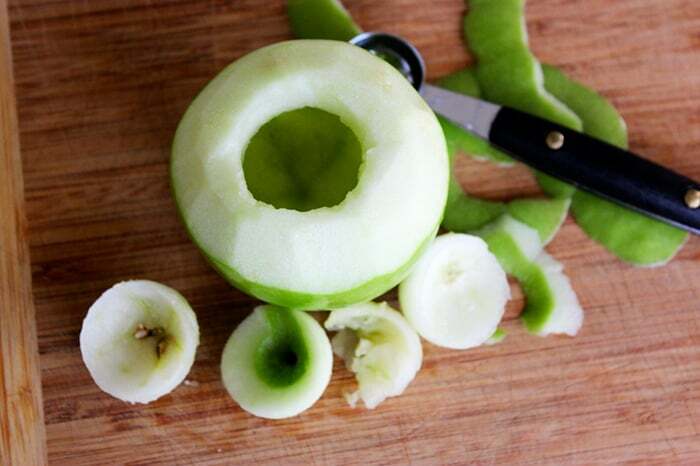 Peel the top third of your apple and using a melon baller, scoop out the core. Make sure to leave the bottom in tact. 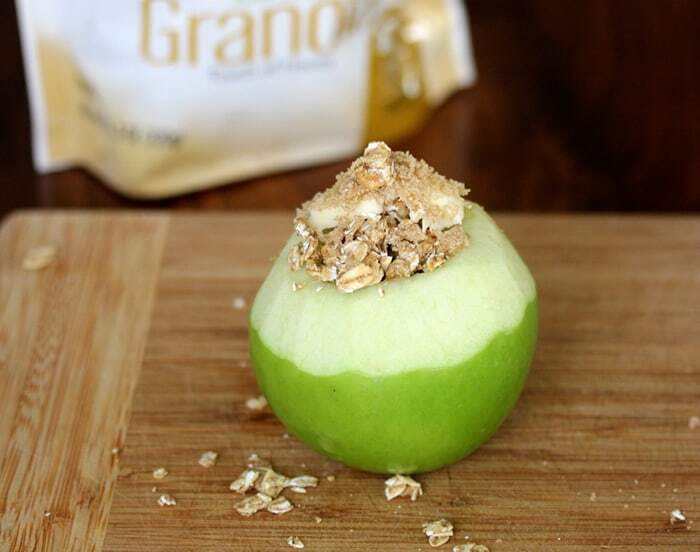 Place a teaspoon of butter into the apple, cover with granola, press down to fill the holes. Sprinkle with brown sugar and another pat of butter. 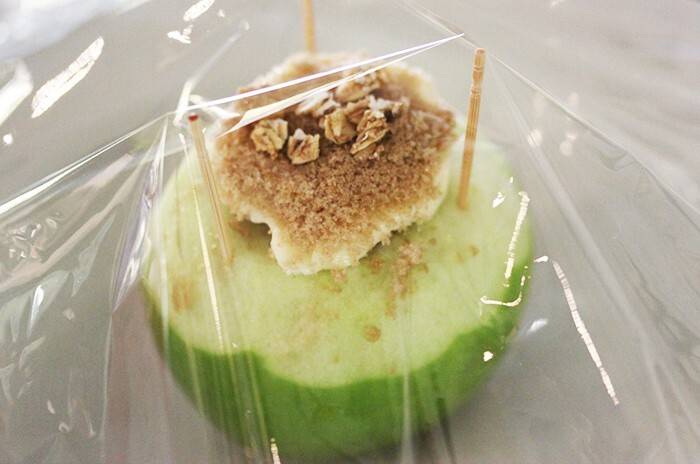 Place in a microwave safe bowl, stick 3 toothpicks around the top and loosely cover with plastic wrap. 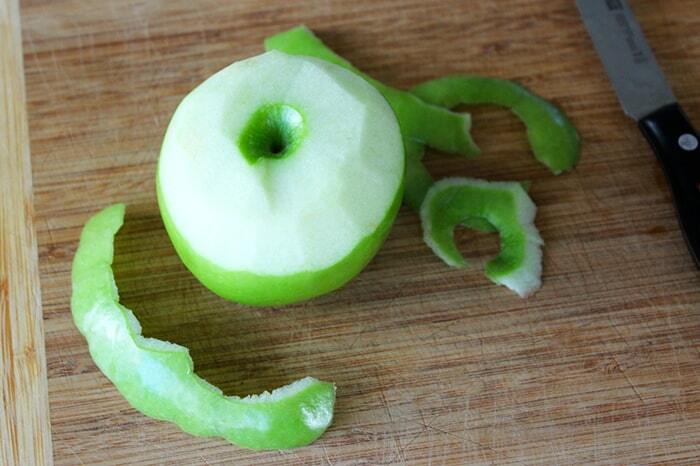 Microwave for 2 minutes or until apple is soft. If you don’t have a microwave, just preheat oven to 350, place in an oven safe dish with ¼ inch of water and bake for 30 minutes. Check out our other microwave treats like 4-Minute Potato Chips, Microwave Strawberry Shortcake, lemon bars, carrot cake, and cinnamon roll.